Often, children’s dentistry is a challenge and becomes even more so with children with special needs. These include our wonderful children with autism, Down Syndrome, Asperger’s, and other conditions. Many times these amazing individuals won’t cooperate as other children will, are unable to take care of themselves, and are more susceptible to illnesses. Due to physical, medical, or psychiatric impairments, these children need greater attention and care. As difficult as their circumstances may be, taking care of their dental health is of utmost importance to solve special concerns with their teeth and mouth. Proper dental care will help avoid complications and contribute to a better sense of well-being. Doing so takes more than just a dentist who treats teeth. He or she must also have the patience, understanding, compassion, and the required training among other necessary traits to be an effective special needs dentist. That is why aside from getting additional training on children’s dental growth and development, pedodontist Dr. Jensen also studied about child psychology and special needs dentistry. At Smile Reef, Dr. Jaren Jensen and his staff make it a point to make every child, including and especially those with special needs, enjoy their experience and help them to learn proper dental hygiene and practices for strong, healthy teeth. 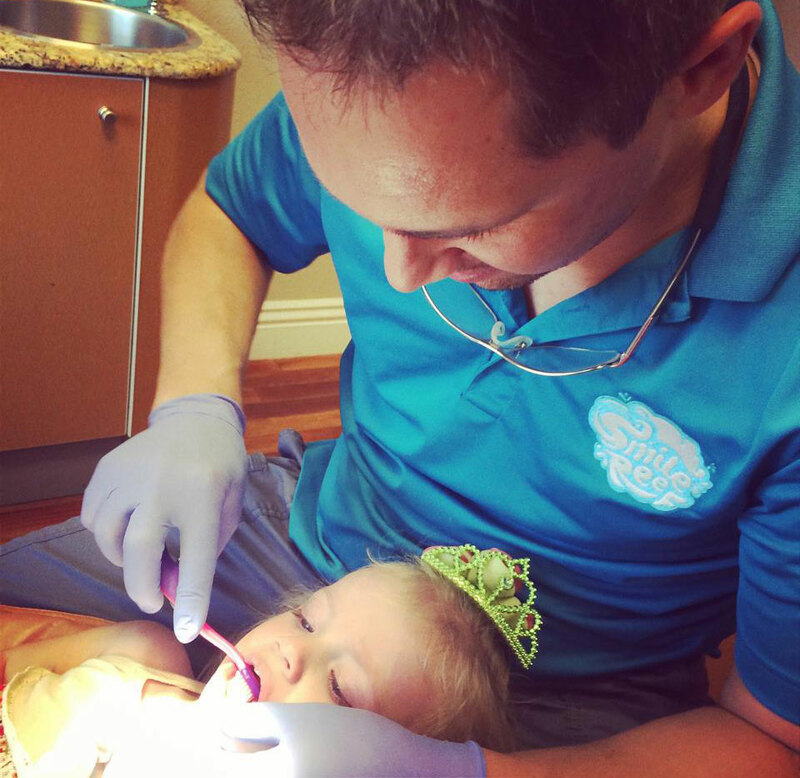 Dr. Jensen is a skilled children’s dentist in Las Vegas, who not only received formal training in pediatric dentistry but also has the talent in making children feel comfortable. Children with special needs can expect the special treatment they deserve and parents can be rest assured their children are in the right hands. Just as parents would trust a pediatrician to handle children’s medical problems, a pediatric dentist can be of great help in addressing children’s dental concerns. Kids’ dentistry is often a challenge considering the special attention needed to take care of children’s dental needs as well as the ability to handle them well.